Cheri is Chair of the firm's Construction and Project Development practice group. 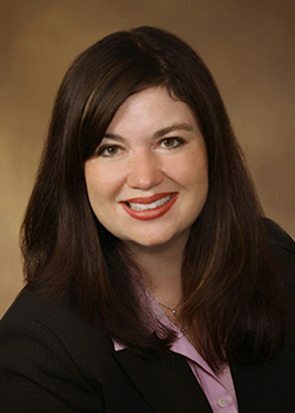 She is also the Managing Partner for the Jackson, Mississippi office and member of the Commercial and Construction Litigation practice groups. Cheri advises clients through all aspects of the construction and project development process. She currently represents national and international companies in the construction of commercial and industrial facilities. Cheri is a partner in the firm’s project development team, which has represented new projects and expansions totaling more than 28,000 new jobs and over $20 billion of capital investment in industrial and infrastructure projects, including projects where private industry joined with government entities to create economic growth. In her commercial litigation practice, Cheri represents industrial entities in the resolution of significant disputes, including complex commercial contract disputes, fraud, breach of contract cases, and competition issues. Recently, she successfully handled a major commercial fraud case involving allegations of unfair competition, fraud, breach of contract and trade secret infringement. She successfully tried a copyright infringement claim on behalf of an international entertainment company. Cheri argued, and won, a complex multi-party commercial insurance case before the Mississippi Supreme Court. In the last five years, Cheri has recovered over $100 million in claims for increased costs and lost production arising from construction, design and equipment issues. Cheri represents contractors, owners and designers in the work-out and resolution of construction defaults, delays and disruptions and has defended contractors, owners and engineers in construction-related tort cases, including claims for exposure to asbestos, silica, lead, mold, dust, arsenic and other contaminants. In daily consultation with clients, Cheri advises through the project development and construction process as well as industrial solutions for clients operating in elevator and construction components, steel, elevator and escalator, production equipment, automotive and other heavy industry. Since 2010, Chambers USA has named Cheri as a “Leader in their Field.” Chambers, a leading guide to the legal profession, noted, Cheri Gatlin is praised by clients as a “business-minded litigator who comes up with good strategies.” She is also named in America’s Best Lawyers and Super Lawyers. Burr & Forman’s steel industry lawyers, including Cheri, were finalists for Legal Services Provider for the Year by American Metals Market’s Awards for Steel Excellence. Cheri is a candidate for LLM in international arbitration from the University of London International Programmes. She is an American Arbitration Association Commercial Arbitrator and a member of the London Court of International Arbitration, and handles cases before the International Chamber of Commerce. Cheri regularly serves as Arbitrator in construction cases.